Alexander is a sweet, smart, high-energy boy who is still a big puppy. He loves getting out of his kennel for a long walk with a special someone, and his good leash manners have made him a charter member of the trail-dog program. He appreciates it when admirers of his soft coat stop to pet him on jaunts beside the lake. 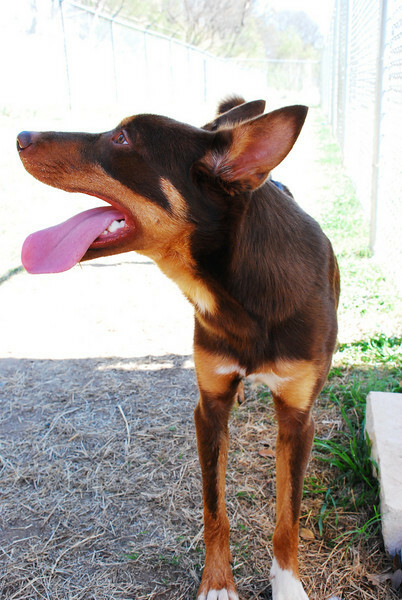 Alexander comes from a line of working dogs -- Kelpies are sheep-herders -- and will be happy with someone who will keep him busy. Make Alexandar part of your family, and he will be sure there's never a dull moment -- and that every moment is filled with love.